We summarize the most important online gambling laws pertaining to gambling operators and users of gaming services in the countries where online gambling is legal to some degree or other. The USA is a very lucrative market for online gambling companies, although there are many legal risks involved. 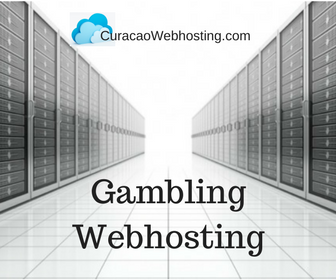 Since 24% of all online gamblers in the world reside in North America, and the majority of gambling companies doing their hosting in Curacao (where we have our operations - to find out more Click here), we go into detail about the legal situation in this country. The individual States in the USA have the power to make laws pertaining to their state only, but on the other hand there are Federal Laws that is applicable to the whole country, while protecting State rights. This makes the online gambling legal situation in the country very complex. 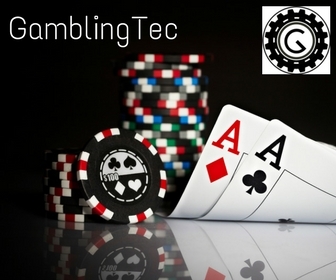 We start by giving an overview of the main Federal laws that address the legality of online betting, wagering and gambling in the USA, and then we will have a look at the situation in the individual States. 1. The Interstate Wire Act of 1961 (commonly referred to as the Federal Wire Act). This law addresses only the issue of online sports betting and wagering and does not address the legality of online gambling as such. The Illegal Gambling Business Act was enacted as part of the Organized Crime Control Act of 1970. This Act was designed to be a companion to other laws, such as the Federal Wire Act, in targeting a source of income for organized crime. Unlike the Federal Wire Act, the Illegal Gambling Business Act is designed to assist states in enforcing their laws with regard to interstate gambling activities and is dependent on a predicate state offense. (e) This section shall not apply to any bingo game, lottery, or similar game of chance conducted by an organization exempt from tax under paragraph (3) of subsection (c) of section 501 of the Internal Revenue Code of 1986, as amended, any private shareholder, member, or employee of such organization except as compensation for actual expenses incurred by him in the conduct of such activity. "Whoever brings into the United States for the purpose of disposing of the same, or knowingly deposits with any express company or other common carrier for carriage, or carries in interstate or foreign commerce any paper, certificate, or instrument purporting to be or to represent a ticket, chance, share, or interest in or dependent upon the event of a lottery, gift enterprise, or similar scheme, offering prizes dependent in whole or in part upon lot or chance, or any advertisement of, or list of prizes drawn or awarded by means of, any such lottery, gift enterprise, or similar scheme; or, being engaged in the business of procuring for a person in 1 State such a ticket, chance, share, or interest in a lottery, gift, enterprise or similar scheme conducted by another State (unless that business is permitted under an agreement between the States in question or appropriate authorities of those States), knowingly transmits in interstate or foreign commerce information to be used for the purpose of procuring such a ticket, chance, share, or interest; or knowingly takes or receives any such paper, certificate, instrument, advertisement, or list so brought, deposited, or transported, shall be fined under this title or imprisoned not more than two years, or both." This is the major gambling law that has to be considered by any online gambling operator. It targets large online gambling operations, and does not criminalize the consumers who participate in online gambling. The Act prohibits gambling businesses from knowingly accepting payments in connection with the participation of another person in a bet or wager that involves the use of the Internet and that is unlawful under any federal or state law (termed "restricted transactions" in the Act). The Act also requires Treasury and the Federal Reserve Board (in consultation with the U.S. Attorney General) to promulgate regulations requiring certain participants in payment systems that could be used for unlawful Internet gambling to have policies and procedures reasonably designed to identify and block or otherwise prevent or prohibit the processing of restricted transactions. (4) New mechanisms for enforcing gambling laws on the Internet are necessary because traditional law enforcement mechanisms are often inadequate for enforcing gambling prohibitions or regulations on the Internet, especially where such gambling crosses State or national borders." (2) owns or controls, or is owned or controlled by, any person who operates, manages, supervises, or directs an Internet website at which unlawful bets or wagers may be placed, received, or otherwise made, or at which unlawful bets or wagers are offered to be placed, received, or otherwise made." Because of these Federal gambling laws, online gambling companies are hosting their operations in off-shore countries that supply legal gambling licenses and also using off-shore money transfer services. But even doing that has its risks as can be seen from the recent arrests of the founders of companies like PokerStars, Full Tilt Poker, and Absolute Poker. The United States judiciary system seems to target only the largest online gambling operators (many of them quoted on the Stock Exchanges), which leaves the market open for the smaller companies. Indeed, we see a spike in these smaller companies' business turnover as gambling enthusiasts moved over to them after their main resources were cut off. According to Department of Justice the companies allegedly tried to circumvent UIGEA rules with the help of others who acted as "payment processors" by helping to disguise gambling revenue as payments for non-existent goods such as jewelry or golf balls. A bank in Utah was charged as an accomplice. There are no States at the moment that issue online gambling licenses. That does not mean that States not on the list allow online gambling - there may just not be a specific current law dealing with that issue. New Jersey seems to be the first State that is moving towards legalizing online gambling.